Our Blue Line Graphics "In the Seat" guest is Bear Tomasovich and we talk to Bear about his Bear Traxx Speedway in Ohio! 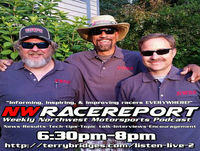 We talk Salem Speedway Champions, we talk little of everything. Check us out!